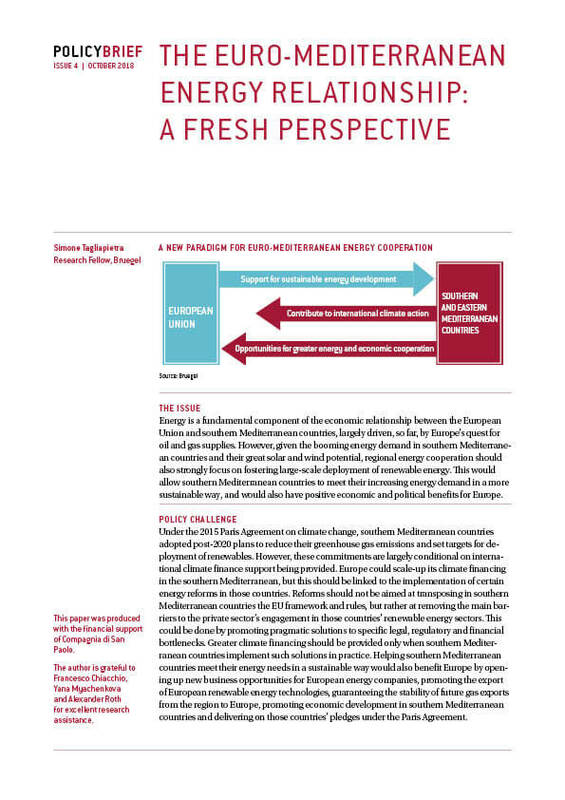 A year ago, Europe was in the vanguard of the global push towards the Paris climate conference. Forthright in its climate leadership, Europe built the ‘High Ambition Coalition’ that tipped the balance in the attempt to secure the first universal, legally binding global climate deal. A year after Paris, the position of Europe relative to the ratification of the Paris Agreement looks profoundly different. With the surprisingly quick acceptance of the Agreement by the United States and China in early September, and with India’s ratification coming up on 2 October, Mahatma Gandhi’s birthday, the ratification process threatens to overtake Europe. Quicker than expected ratification makes it possible that the double threshold (55 parties responsible for at least 55 percent of global emissions) for entry into force of the Paris Agreement will be reached in time for the Marrakesh climate conference, scheduled to start on 7 November. 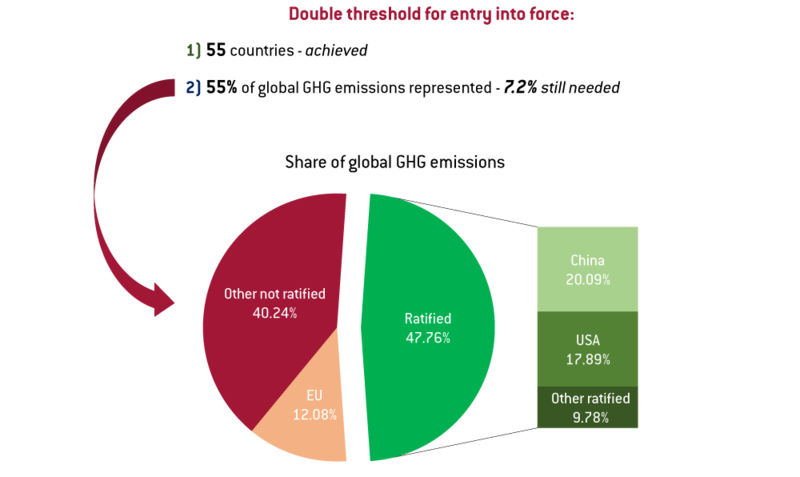 With 61 countries covering 47.79 percent of global emissions having already ratified the Agreement by 26 September, such a scenario looks almost certain. These are all positive developments. They demonstrate that there is global momentum to address climate change. However, as Europe struggles to advance its own ratification process, it risks being left out of this success. 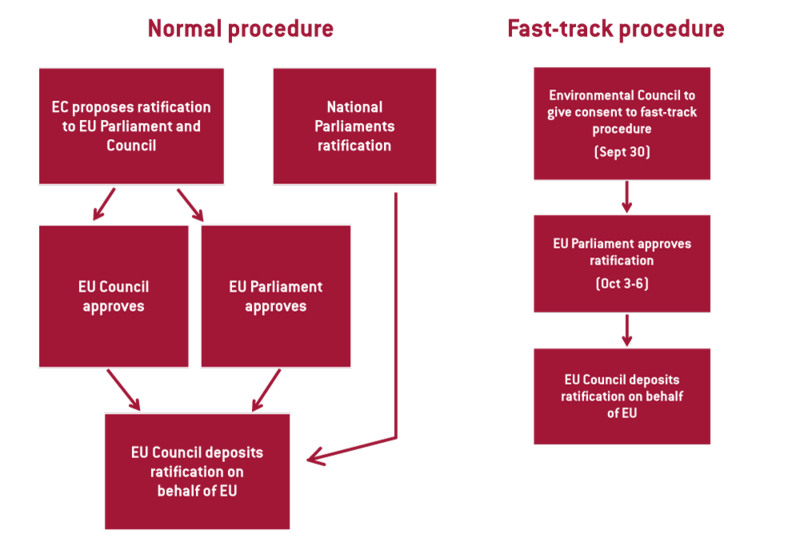 The normal process requires the European Parliament, the Council of the EU and member states to advance in parallel their respective ratification procedures. Because ratifications are needed from all 28 member states, on the basis of the respective domestic procedures of each, this process is naturally time-consuming. An additional drag on the process has been created by member states tying the ratification to EU concessions on energy and climate policy. By 26 September, only five EU countries had ratified the Paris Agreement: Austria, France, Germany, Hungary and Slovakia. To avoid the ‘nightmare scenario’ of the Paris Agreement coming into force without the EU, European leaders agreed at the 16 September Bratislava Summit to hold on 30 September an extraordinary meeting of EU environment ministers to decide on the potential adoption of a fast-track EU ratification procedure. This procedure would be based on the fact that the EU is a party to the United Nations Framework Convention on Climate Change (UNFCCC) in its own right. Consequently, with the unanimous consent of the Environment Council, the European Parliament could already approve the ratification of the Paris Agreement at its next plenary session from 3-6 October. 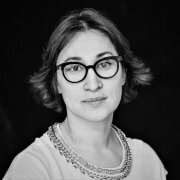 The EU’s ratification, representing about 12 percent of global emissions, would enable the Paris Agreement to enter into force in time for the Marrakesh climate conference, with the EU being part of the success. The adoption of the exceptional fast-track procedure is highly desirable. Ensuring the presence of the EU at the entry into force of the Agreement is crucial for both technical and political reasons. In technical terms, the entry into force of the Agreement will trigger the first Conference of the Parties serving as the Meeting of the Parties to the Paris Agreement (the CMA in short), which is the formation that will make decisions under the Paris Agreement. If it has not ratified the Agreement, the EU will only be able to observe the discussions of the CMA, without having voting rights. In short, the EU would not be part of the decision-making process established by the Paris Agreement. In political terms, a delay to the EU ratification process would clearly send a negative signal about Europe’s capability to respect in a timely way its international commitments. It would represent a major reputational setback for the EU, particularly considering the key role played by the EU in the making of the Paris Agreement itself. 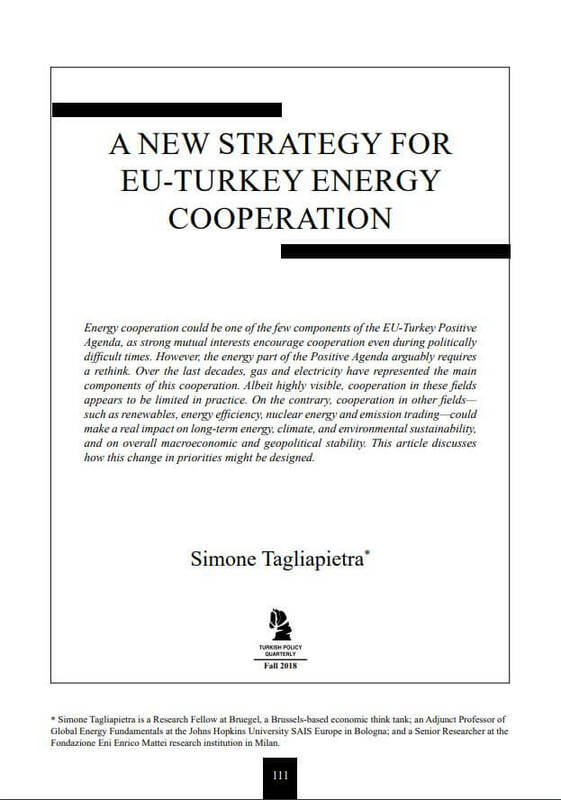 In this context, the EU environment ministers should seize the opportunity presented by the extraordinary meeting of 30 September to reiterate the political backing of their governments for the commitments already assumed by them at the EU Council of October 2014 (which endorsed the EU 2030 Climate and Energy Framework that subsequently became the EU Intended Nationally Determined Contribution to the COP21). The environment ministers should unanimously trigger the fast-track procedure. This should be done in a transparent and unified manner, without any concession to any member state. Only this would guarantee to Europe the place it deserves at the table in the international effort against climate change at the forthcoming Marrakesh climate conference. 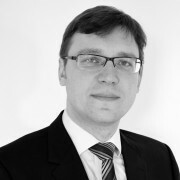 The author would like to thank Georg Zachmann for helpful comments and Enrico Nano for the excellent research assistance. 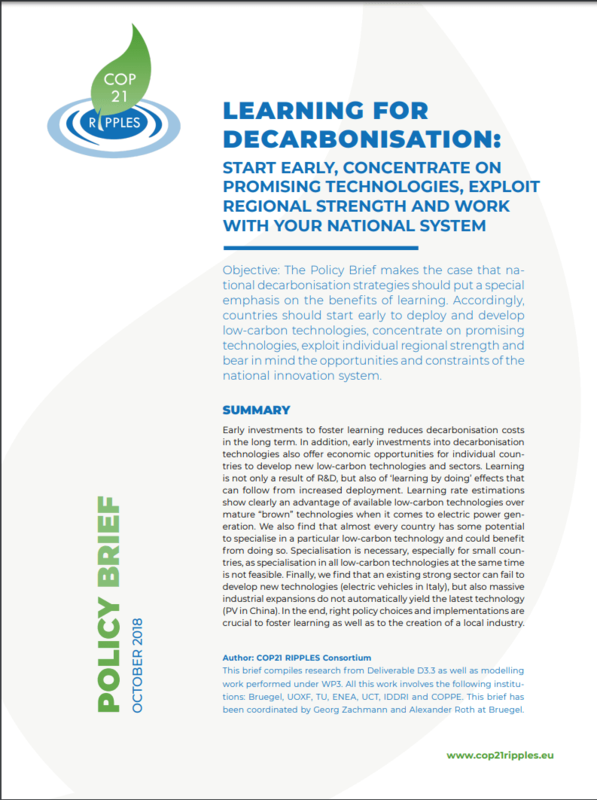 This external publication, put together in the framework of the COP21 RIPPLES Consortium, makes the case that national decarbonisation strategies should put a special emphasis on the benefits of learning. Accordingly, countries should start early to deploy and develop low-carbon technologies, concentrate on promising technologies, exploit individual regional strength and bear in mind the opportunities and constraints of the national innovation system.